If you’ve ever wondered what the difference is between old-fashioned and quick-cooking oats, maybe these facts will give you a little better understanding. In processing oats, the hull is removed and they are cleaned, toasted and cleaned again. Old-fashioned oats are steamed and flattened. It takes about 15 minutes for them to cook. 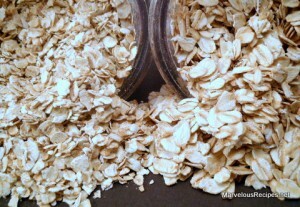 Quick-cooking oats are cut into two or three pieces before they are steamed and rolled. It takes about 5 minutes for them to cook. They can both be used interchangeably in recipes. The old-fashioned oats will give your recipe a little more texture than the quick-cooking type.